Blockbusters Environmental offers a full range of tank cleaning services for industrial clients across Northern Ireland, Ireland and the UK. We offer bespoke tank cleaning services for clients based on the size and specifications of the tank. 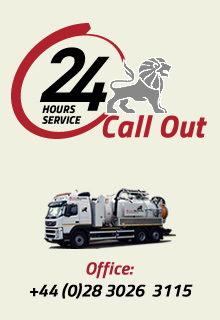 Our full scope of tank cleaning services includes septic tank cleaning, maintaining forecourt interceptors right through to large pumping stations. With a team of fully qualified tank cleaning experts and an impressive fleet range, we can cater for any type and size of job at any location. Interceptors prevent materials such as oil, grease and other contaminants from causing blocked drains. Blockbusters Environmental offer a first class interceptor cleaning and maintenance service. To meet environmental regulations and to ensure they continue to be effective for use in pollution control, interceptors should cleaned on a six monthly basis. At Blockbusters Environmental, we provide a regular interceptor maintenance program to meet our customers needs. Our first class team of tank and wet well cleaning experts will work to job specific requirements and use the best in class technology e.g. high pressure water pumps to achieve professional results. Materials collected during tank and wet well cleaning will then be transported safely to local waste management facilities. We provide all of the relevant paperwork, providing full traceability for all of the tank and wet well cleaning work carried out and materials collected. 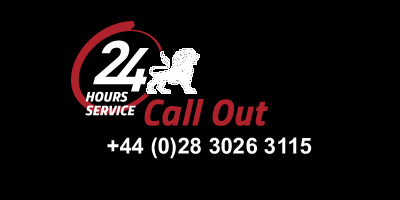 To avail of our tank and wetwell cleaning services, contact us today. Blockbusters Environmental is at the forefront of pumping station maintenance and cleansing. We offer tank cleaning at sewage, storm and freshwater pumping stations for large water utilities right through to residential plant. Our team of highly skilled confined space workers have a lot of experience in dealing with both large and small pumps and associated equipment. Our preventative maintenance programmes guarantee that pumping stations are regularly maintained, to prevent any major disasters occurring, due to blockages or cracks in the tanks. In addition, we provide an emergency call out service for all pumping stations as we recognise the importance of guaranteeing a high standard of performance for pumping stations, to avoid costly repairs and potential disasters. Contact us to find out more about our tank and wetwell cleaning services bespoke to pumping stations. For larger, industrial tanks, Blockbusters Environmental make a conscious effort to understand client needs and to offer an innovative and environmentally sound industrial tank cleaning solution. For projects which span a number of weeks, we will plan, forecast and manage industrial tank cleaning projects to make sure that every objective is met. Our experienced teams are well equipped with an impressive range of fleet featuring powerful high pressure water pumps. Our engineers provide a range of tank cleaning services such as intense steam cleaning, high pressure water jetting, drain cleaning and drain clearance. We offer both industrial tank emptying and industrial tank cleaning services to all of our customers. We also notify our customers about the methods we would recommend to ensure safe and thorough removal of hazardous waste. Our specialist services also extend to cleaning industrial tanks such as leaded gasoline tanks, before they are made redundant. 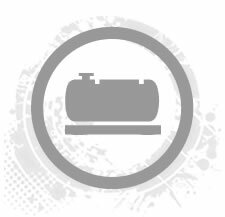 This can be a potentially hazardous situation, hence why we follow strict safety protocols and make sure that the speed and efficiency of our tank cleaning procedures enables contractors to carry out the tank removal process without any issue. To find out more about our bespoke industrial tank cleaning solutions, contact us today.